The Pearl Brewery has been incredibly important for the city of San Antonio. Having practiced architecture there for the last twenty months it has been fascinating to see how the development has made the transition form a bold urban experiment to an established part of San Antonio's urban fabric. It has also been great to share an office with Jonathan and Christian. But the growth and success of the Pearl has caused inevitable growing pains as its focus shifts to larger and more lucrative tenants it becomes less accommodating of smaller creative operations like myself. And so as of July 1, 2014 HiWorks has a new home. 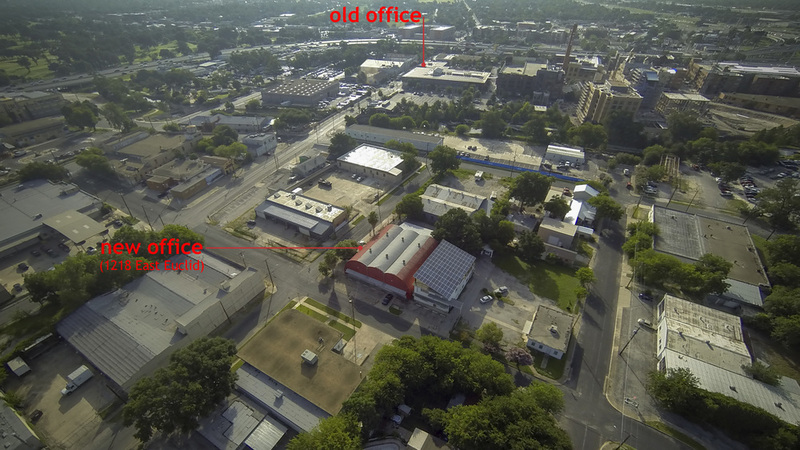 It's not far - we're only moving to the other side of the San Antonio River - but it should be easier to find and more important, it will be easier for HiWorks to grow.